I was inspired by an article from Real Simple Magazine I read recently. 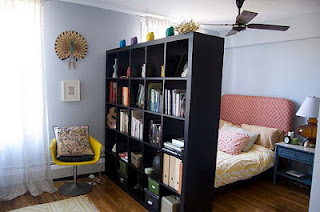 It had some interesting ideas about how to make the most of small spaces - especially great for those in studio apartments, city living and small offices. Multi-tasking furniture is pretty common now. 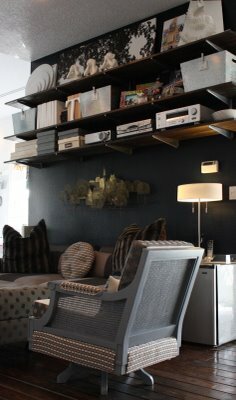 For example, an ottoman that doubles as storage for games or movies. A trunk that holds linens, but doubles as a coffee table. These pieces act as furniture, but also work as storage. The fourth tip in the article is one that many organizers work within, but most people never think of on their own: Make your space work for you. The example given is that if you don't eat in your kitchen, there's no need for a table in it; use the space to better suite your needs. 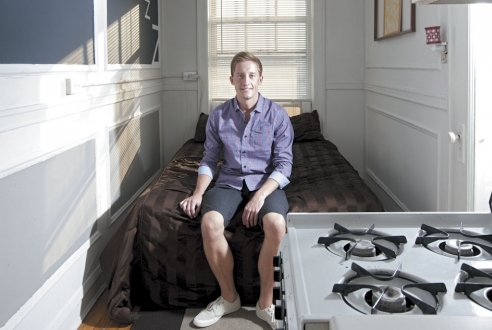 I saw a fantastic example of this in Time Out Chicago's September 6 article about living in incredibly small apartments in the city. This gentleman put his bed in the kitchen, because that's where it made sense for him. Not too common to keep the bed in the kitchen, but it fits perfectly and works for him. Keep in mind, chances are you have enough space to make the place livable. There might need to be some purging of things you no longer need, and some rearranging of what you know you love. But, we can always make it work!